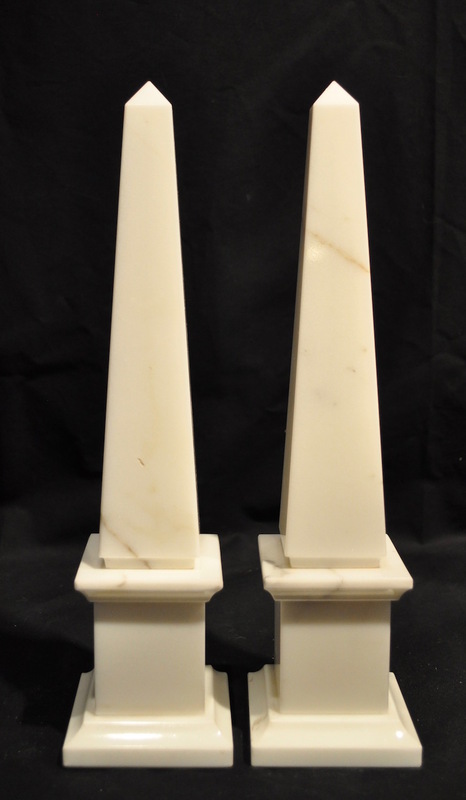 Beautiful contemporary white carrara marble Italian obelisks in a neoclassical style. Sourced from a specialist maker. 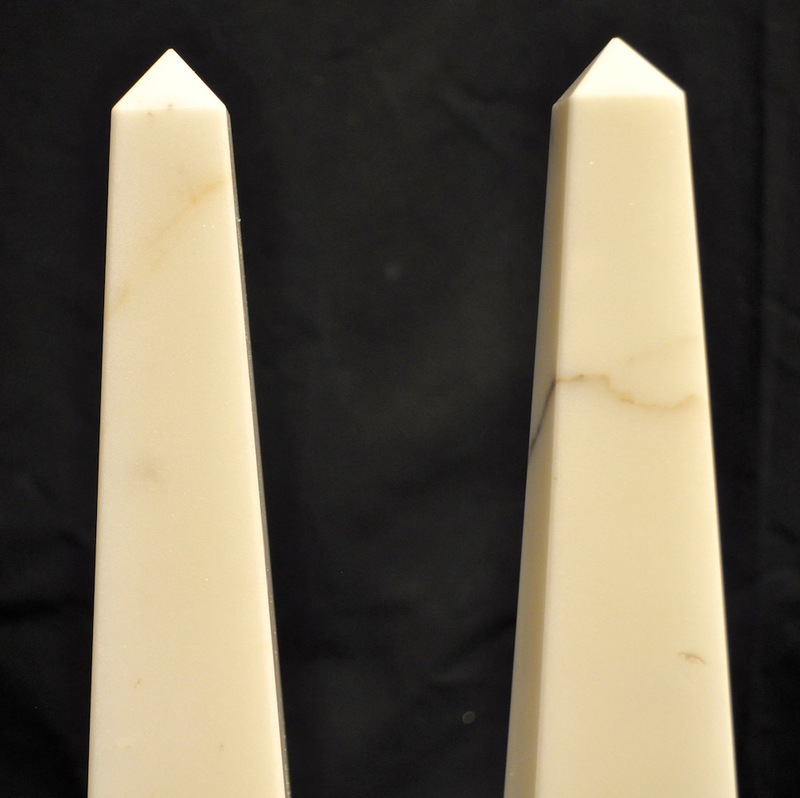 The white carrara marble is bright with some subtle grey veining. 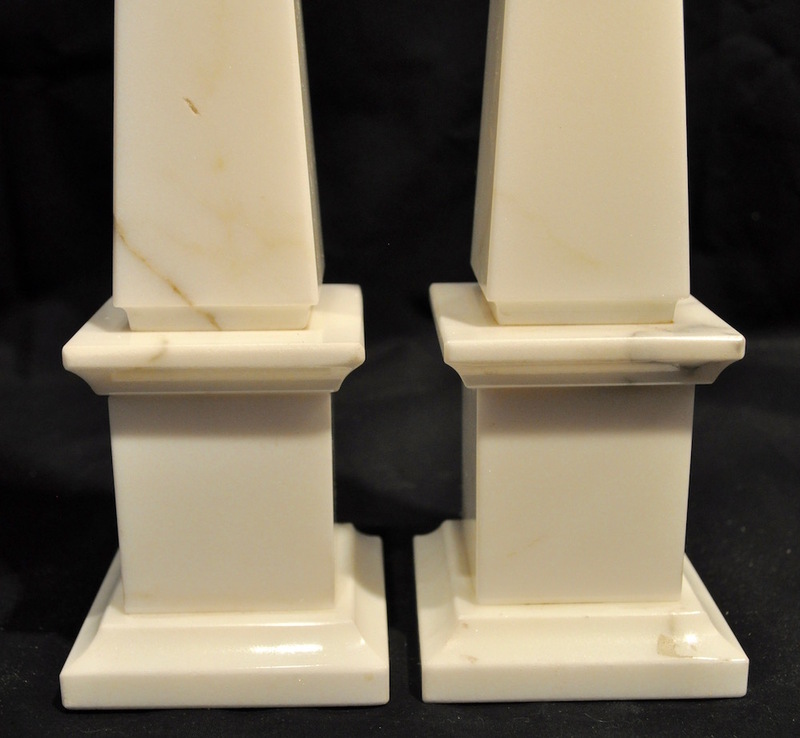 These would be very chic in a contemporary decor, or grouped with other monochrome obelisks. 12 7/8 inches tall. 12 7/8 inches tall. Base 3 1/4 inches square. Excellent. 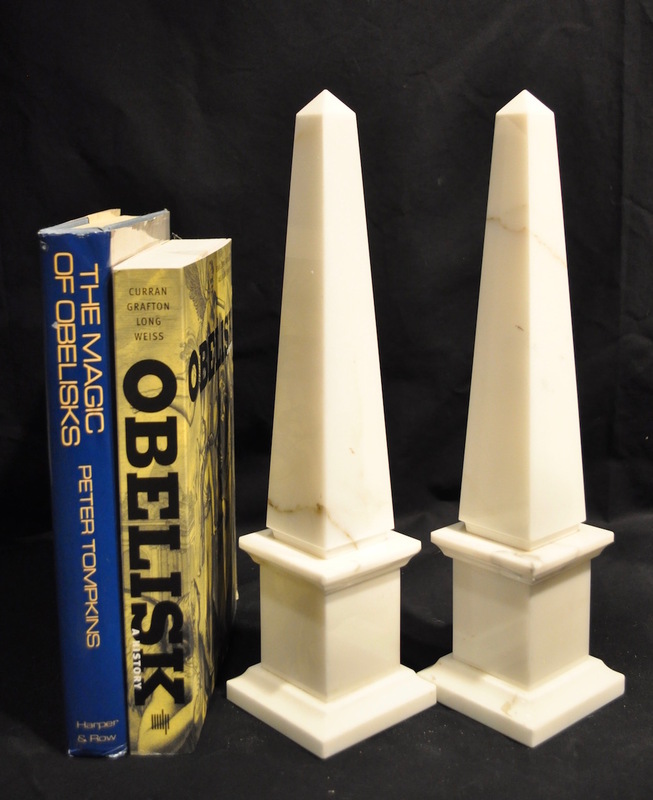 Contemporary obelisk sourced from a specialist Italian make. More photos available on request.